From the acclaimed author/artist of Beyond the Pond and Rulers of the Playground comes a breathtaking new book with a powerful message about the environment, perfect for fans of Peter Brown’s The Curious Garden and Kadir Nelson’s If You Plant a Seed. Each day, the big trucks go to work. They scoop and hoist and push. But when Digger discovers something growing in the rubble, he sets in motion a series of events that will change him, and the city, forever. "This story contains bold graphic illustrations and a wonderful message about the environment," proclaims Brightly.com in their article "18 Must-Read Picture Books of 2018." 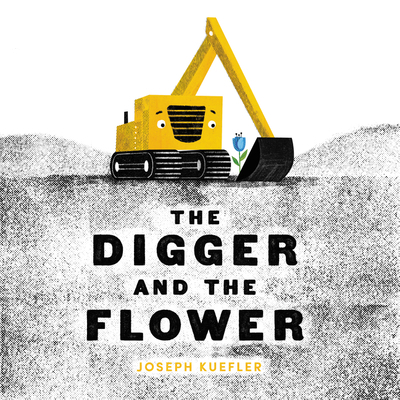 Joseph Kuefler is the author-illustrator of Beyond the Pond, Rulers of the Playground, and The Digger and the Flower. He lives in Minnesota with his wife and children. You can visit him online at www.josephkuefler.com.